This morning, there is another break in the stock market. 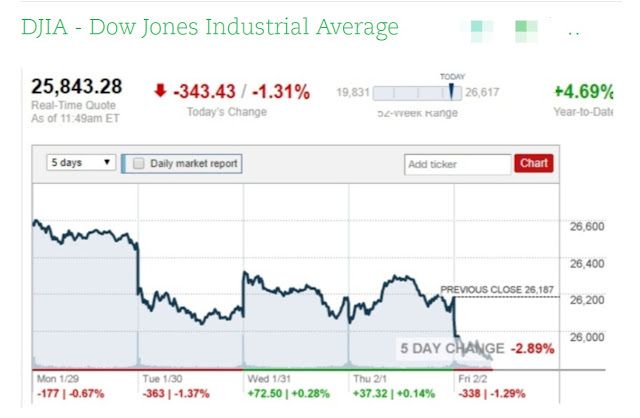 The Dow Industrials are now down approx. 344 points. On Tuesday, we had a break of 363 points. I have been warning about this break and have discussed it in the EPJ Daily Alert. I expect things to get quite severe for the stock market on the downside but there is no indication yet that we are headed into a full-fledged recession in the immediate future.